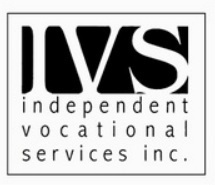 IVS is a recognized leader in vocational-rehabilitation in Ohio. We provide complete vocational-rehabilitation services for people within Ohio's Bureau of Workers' Compensation system who have suffered injuries at work. IVS is a network of providers that includes case managers, career counselors, vocational evaluators and job placement specialists covering the state of Ohio and surrounding areas. We follow your progress and make sure your rehabilitation plan stays on track. If you ever have any questions or concerns, we will address them immediately-and we welcome your response or feedback to our services. At all times, IVS remains focused on getting the best-possible results for you. Case Management. Vocational rehabilitation case managers develop and coordinate a variety of restorative services with the goal of assisting the injured worker to remain at work or to return to work. Job Placement Services. Job Placement and Development is a vocational service that assists an injured worker in returning to work by matching the injured worker‟s vocational skill and restrictions with jobs that may be available, modified or created for the injured worker. Job Seeking Skills Training. JSST is a specialized individualized or group program focused on job goals, application process, and developing the skills necessary to obtain employment, such as interviewing, effective employer contacts with follow up, and resume development. The injured worker should learn how to network, find job leads and use forms (RH10) for recording job contacts. The injured worker‟s presentation must be reviewed with tips on how to improve where necessary. The injured worker should learn how to address difficult interview questions, including questions about their disability and workers‟ compensation. Vocational Evaluations. This is a process during which a certified vocational evaluator gathers vocational information about an injured worker, usually through the use of real or simulated work to assist in determining vocational directions. The vocational evaluator uses extensive client interview and vocational exploration, as well as, psychometric testing which may include aptitude, dexterity, academic and vocational interest testing. The overall result is a report that provides recommendations about the injured worker‟s options for returning to work, within a vocational rehabilitation program. The report is based on integrating the injured worker‟s residual transferable vocational skills with their current physical capacities, and realistic return to work options which exist in the current labor market.